Archaeological excavations will begin in an ancient settlement found in Gabala this week, head of the Sheki-Gah Oguz expedition of the Institute of Archaeology and Ethnography of the Azerbaijan National Academy of Sciences Nasib Mukhtarov said. He said the excavation will begin under the leadership of the deputy director of the institute, Najaf Museyibli. Mukhtar also did not rule out the possibility of foreign experts joining to the excavations. 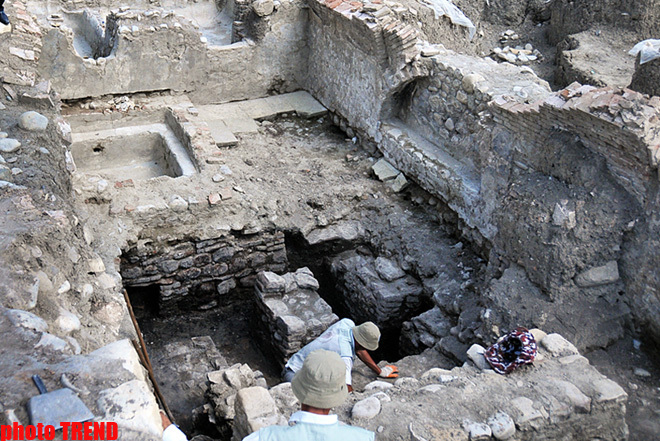 An ancient settlement was discovered in Gabala during the construction of the international airport. The ancient settlement of Galaeri-Dash refers to the last period of the Eneolithic. It was laid by representatives of the Leylatepe culture early in the first half of the fourth century BC. People in this settlement lived up to the eighth century AD. Later the first Muslims turned this place into a cemetery. Mukhtarov noted that the ancient settlement plays a crucial role in the study of the Eneolithic period in Azerbaijan. Until now it was believed that the Leylatepe culture spread from Mesopotamia to the north. Detection of the Lelatepe culture reaffirms Azerbaijan's participation in the formation of the Kura-Araz culture of the Bronze Age.